There's one key difference between a chef and an entertainer, which we realized after a day in the kitchen with Eyeswoon founder Athena Calderone. Ask a chef to share their top brunch dish, and they'll likely sprout a laborious, time-consuming recipe; ask an entertainer, and you'll discover a dish you'll actually make on repeat. That was certainly the case when we asked Calderone to share the go-to brunch dish from her first book, Cook Beautiful. Her Spinach and Goat Cheese Frittata hits the "sweet spot" for entertainers: It can be made in advance so you're ready when guests arrive, it's packed with seasonal vegetables to satiate an appetite, and it can be served straight from the skillet to make cleanup a breeze. Could you ask for more? "I love to host a lot, and this recipe is so easy to put together then 'dress up' by throwing a bunch of bright, fresh herbs on top," she tells us when we meet in Brooklyn. It's also a dish she makes for her family. "It's so important to infuse protein into our diet and also vegetables, and this recipe does both." 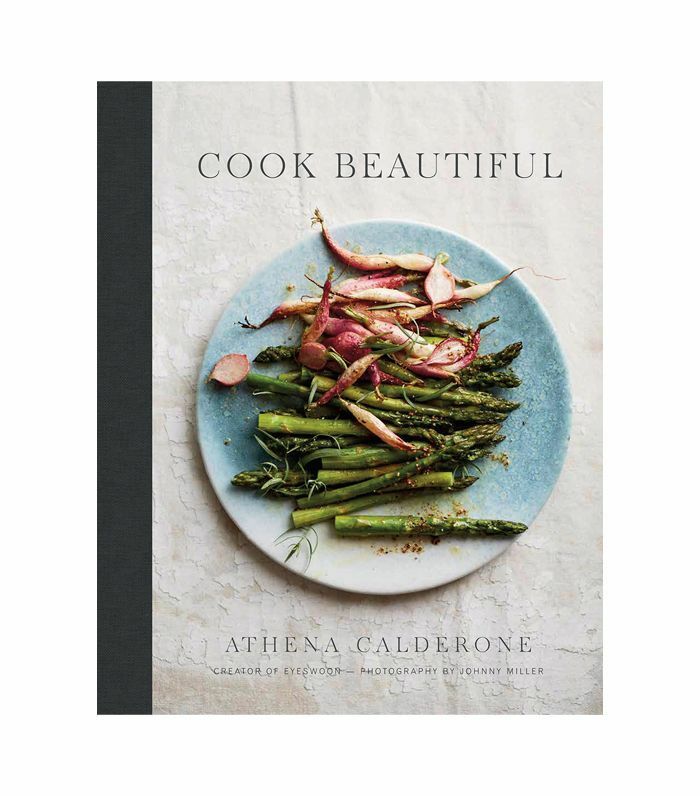 Watch Athena Calderone show us how to make a decadent spring frittata, and then keep reading for the step-by-step guide. First up, preheat the oven to 350ºF. In a saucepan, boil the potatoes until fork tender. "One thing to note when you're boiling potatoes is to start with cold water, otherwise they'll be extra starchy," Calderone points out. Drain, and when they are cool enough to handle, thinly slice the potatoes. Cut the leek lengthwise, keeping the white base intact. "Leeks have a lot of dirt that hides away in the different layers, so remember to thoroughly wash it during this step," she recommends. Then, thinly slice the leek and scallions crosswise. Calderone might not be formally trained in the kitchen, but she sure knows how to use a chef's knife. "Once you have the hand positioning down, remember to use a circular, continuous motion," she says. 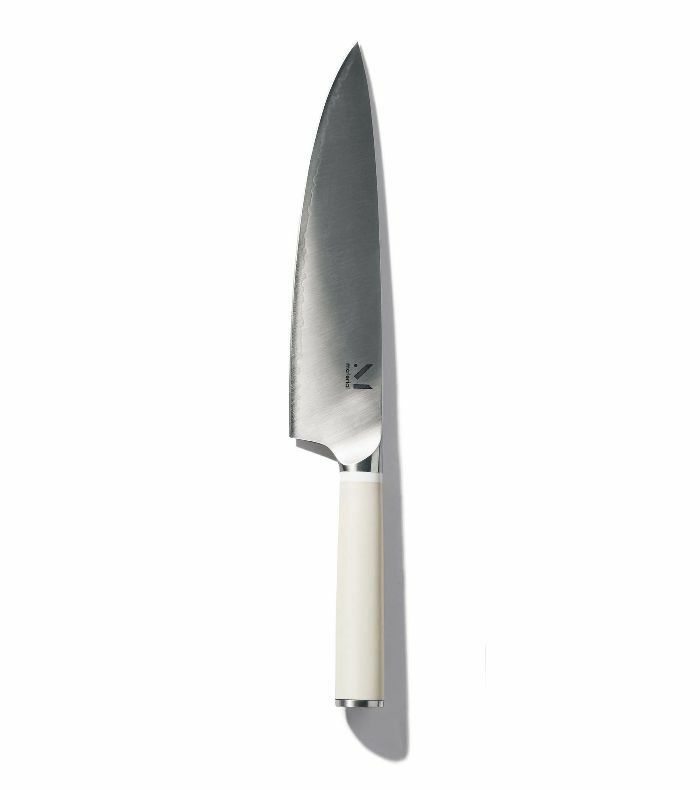 "Slice on the forward, pull the heel of the knife up, [and] pull back. Only cut on the forward motion!" Whisk the eggs, crème fraîche, and salt. "You really want to get your arm power in there and create some bubbles and air—that's exactly what's going to make the frittata light and fluffy as it rises in the oven," she explains. 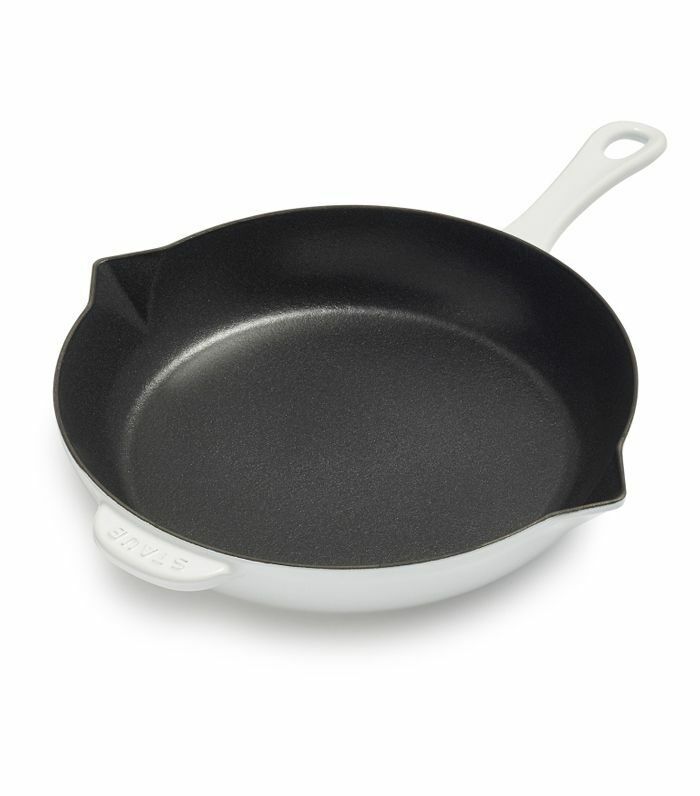 In a cast-iron or nonstick 10-inch ovenproof skillet, heat oil over medium heat. Add the leek and onion and sauté until soft and translucent, about four to five minutes. Season with salt and pepper. Stir in the spinach and cook just until wilted. Lower the heat to medium-low and pour in the egg mixture. Cook for a few minutes, pushing the eggs toward the center of the skillet as they cook. As you work, be careful not to break apart the potatoes. "One indicator to know that it's time to take the frittata off the stove and into the oven is the edges start to set and pull away from the sides of the pan," she says. Once the eggs have set at the bottom of the skillet, dot the top of the frittata with goat cheese. Place the skillet in the oven and cook just until the frittata has set, which is about 12 to 15 minutes. "What I love about cast iron is that you can take it from the stove top and pop it right into the oven. You're never going to want to use something that has a plastic handle because obviously, that'll melt inside," she cautions. Keep a close eye on your frittata during this step—take it out of the oven too early, and it'll be gooey and inedible; leave it in too long, and it'll be firm and overdone. Calderone simply shakes the skillet to check if it's set. Finally, remove the frittata from the oven and cool slightly. To serve, garnish with fresh herbs and lemon zest. "Fresh herbs like dill, chives, and cilantro bruise easily under a knife, so rather than putting them on the chopping block, trim them with a pair of scissors," she adds as a "swoon tip" in the cookbook. "Snip them directly over the frittata, from higher above than you might think, allowing them to cascade in an artfully haphazard manner." 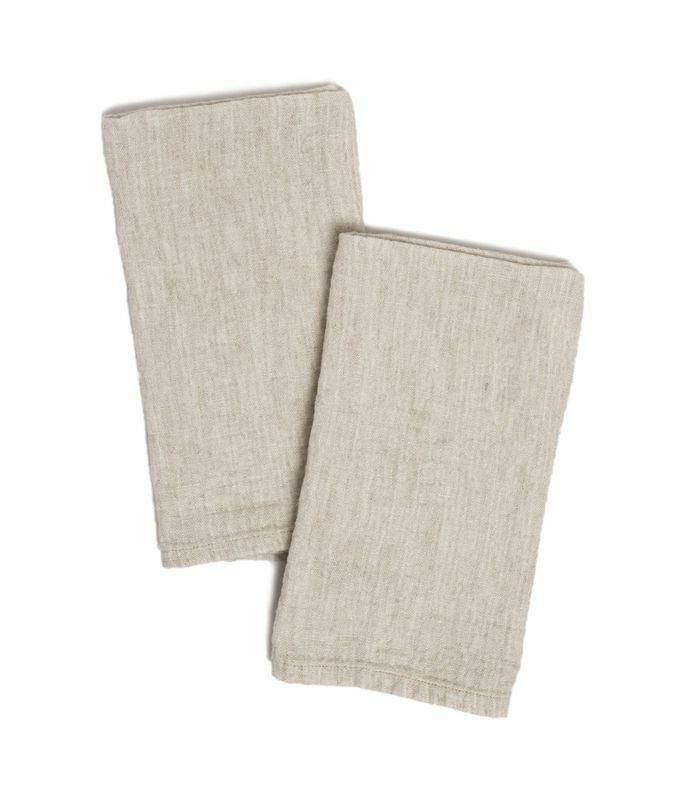 Tie a linen dish towel around the handle for presentation, and then serve it straight out of the skillet. Voilà: That's how to master Athena Calderone's Spinach and Goat Cheese Frittata.